It has been quite a few months since I have ventured on here to write a post - review, heartfelt, or otherwise. After a few months off I realized that it is time for me to venture back to the world of blogging and using it to express my thoughts again. 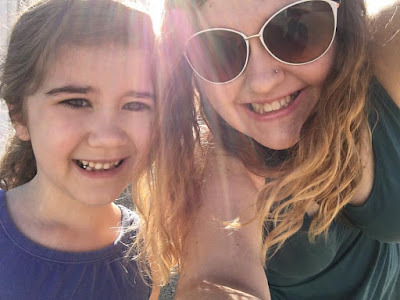 Gina and I have always worked on making this a place where we can be open with our readers and make it feel like our readers knew us and could relate to us so I want to start out by sharing a bit about life this past year. As many of our readers may know from following me on social media I am currently going through a divorce. In the last year we went from having a two parent household to me becoming a single parent, full time. One day, very unexpectedly after almost ten years together, my ex decided that this wasn't the life he wanted to live anymore. Regardless of how many issues we had in our relationship making it work for Mia was the most important thing to me. I have since learned that it was absolutely not the best thing. But he left and I fell apart. I fell apart over and over again until one day I decided that I didn't want to fall apart anymore. Instead I took all of that energy of falling apart and worked on putting it all back together, putting Mia back together, putting myself back together. Everyone expected me to break a certain way; to not want to do anything, to shut everyone out, to break down - and I did for the first few weeks. But I think that in a lot of ways going through this separation was similar to the stages of grief. I felt the denial, the anger, the bargaining, the depression, and finally the acceptance. Somewhere along the way I found myself again. I found the silly, overthinking, open-hearted, free spirited girl that I was previously. I found my voice, I found my happiness within myself, I found way more than I ever even realized I lost. I learned to love myself more than I ever have, I learned to appreciate every single relationship in my life more than I did, I learned to celebrate every moment of every day just a little bit more. Yes, I fell apart, but I am okay. I am better than okay. I am the best that I have ever been. I am a better mother, I am a better friend, a better daughter and sister, a better human in general. 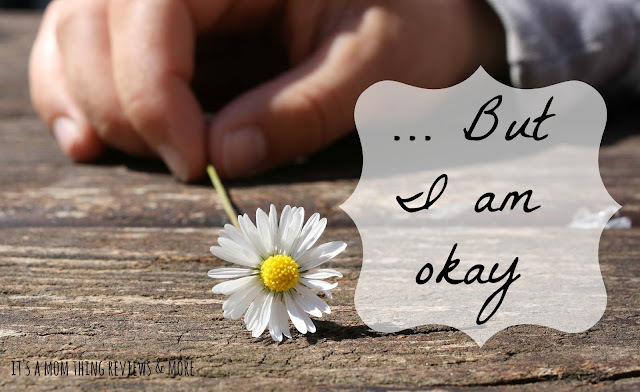 If there is one thing I have learned this year it is that sometimes you need to fall apart in order to truly be okay.